The As Syakirin Mosque, also known as KLCC Mosque, is a mosque located in the Kuala Lumpur City Centre, Kuala Lumpur, Malaysia. Step into one of KL’s most majestic mosques that exudes a touch of the Middle East. Also known as the “Jewel in the Park“, the Asy’Syakirin Mosque was finished by skilled craftsmen from Uzbekistan who rendered intricate carvings and calligraphy on the interior and internal facade of the dome. 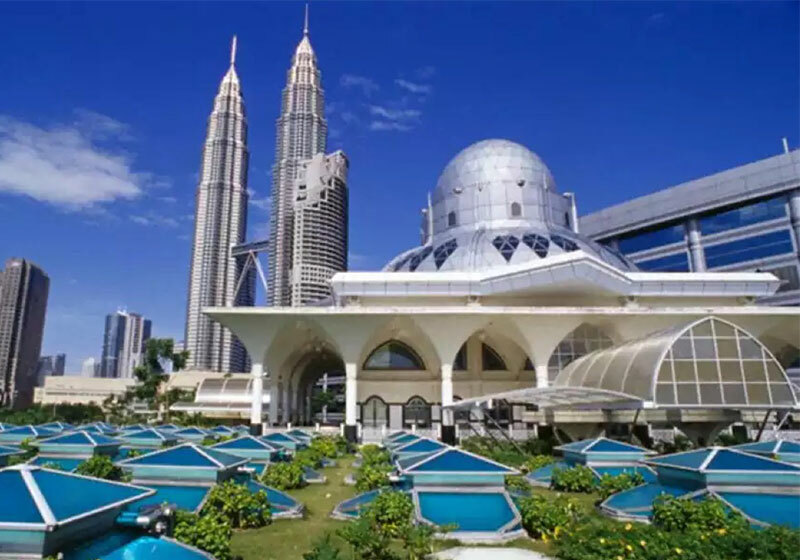 Short Description: The As Syakirin Mosque also known as KLCC Mosque, is a mosque located in the Kuala Lumpur City Centre, Kuala Lumpur, Malaysia. The mosque is situated near the Suria KLCC shopping centre and the Petronas Twin Towers, the tallest twin towers in the world.